Large 5,000 sq.ft. impressive southern home. 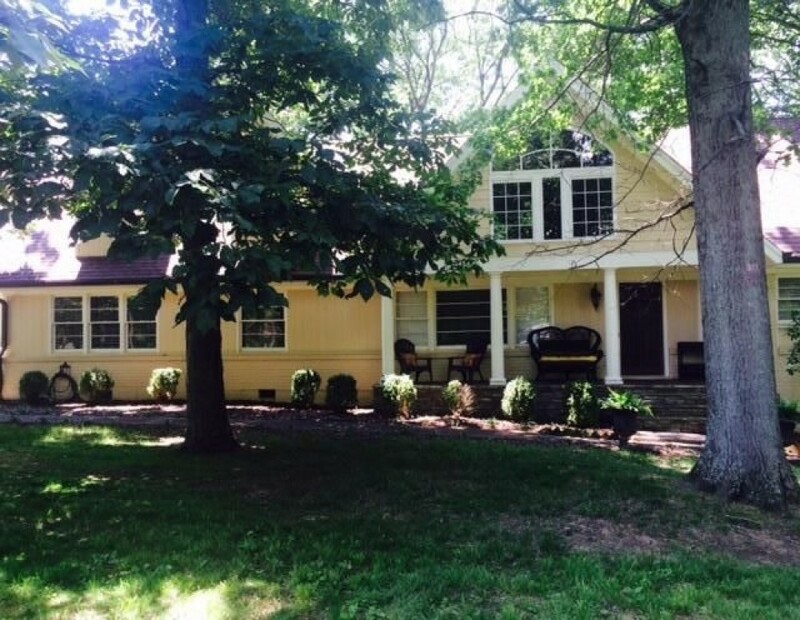 Located in prestigious West Nashville neighborhood with big wooded lot. Perfect for large groups, family reunions, and wedding parties. . Incredible upstairs game room with ping pong table, hockey table pool table, darts, card table, large TV and a 2nd kitchen area. Ideal for parties and fun times. Four bedrooms and 4 full bathrooms - (main floor, 1-King with private bath, 1 King that shares hall bath, 1 King that shares hall bath and 1room with 1 King and 1 Queen with private bath. Large living area and open concept kitchen to dining room and den with TV that opens to back deck.) Upstairs has a large bedroom with 1 King and 1 Queen bed with private bath that adjoins the large game room described above. Incredible home suited just for your large group needs. My siblings & spouses just spent 5 days at this place. The beds are wonderful! We were all very happy with the accommodations. Everything that is listed for this property is definitely true. We loved the city of Nashville as there was so much to do & see. I would definitely recommend this place for any type of group. We just completed a 3 night stay for our son's wedding weekend at nearby Belle Meade Plantation. The house comfortably slept 4 couples, great-grandpa and a toddler while maintaining lots of privacy and allowing great common space. The HUGE upstairs playroom was perfect for the groom and groomsmen to get dressed, eat, get a short nap, and entertain themselves for several hours before the limo arrived. The photos of the house don't show how the kitchen, formal dining area, living room and comfortable TV room are so close everyone can stay within ear shot but have spots for quieter conversations . Dining area was large enough to setup a long buffet area at end using the house's extra banquet table and another one we bought locally and left for others to use. The three bedrooms down the main hallway can be made more quiet by closing 2 doors from kitchen and living room. Access to the upstairs playroom is a bit awkward since the inside stairs start at the rear of the large downstairs king/queen bedroom. But it can also be accessed from outside stairs just beyond kitchen door - so we used both options. The many cooling zones in the house worked well even though our weather was incredibly hot/humid. At times, the house felt dark as it was shaded by big trees, but that can be improved with replacing some dimly lit bulbs with brighter ones. Rental agent, Joyce, was good at communication and everything was there as she promised including the pack and play crib we requested. Our entire family marveled we could find such a roomy house conveniently located to stores like Kroger, Walmart, Target, and within easy delivery/pickup of nearby restaurants. We also we used a professional drop-in daycare (The Children's Playroom) to help with our grandchild. At end of weekend, we went down 2 blocks and donated our unused food to the local fire station. Everyone agreed this rental afforded us the feeling of a relaxed home setting but with convenience of a hotel room with beds ready, a well equipped kitchen (but some sharper big knives would have been nice) and clean baths. Cleanup requirements and house rules were very reasonable. Multi-generational groups like ours will find this house a huge advantage over any hotel or most rentals out there. Wow! Wonderful. Better than advertised. Just returned from weekend. Gathered in Nashville for wedding. Everything was exactly as promised by the friendly manager Joyce. The house was impeccably clean. There was plenty of kitchen utensils, dishes, etc for our 10 family members. The upstairs was mainly a game room and the first of the many vacation rentals that actually had cue sticks that weren't warped. AND and there was kitchenette upstairs. Bottom line: the is excellent rental for large gatherings. My friends and I recently stayed in this lovely (and huge) home on a weekend trip to Nashville. We had 8 people total (4 couples) and the home was just perfect! In fact, there were so many beds that it could easily accommodate an even larger crowd. One of the things we loved about the house was that each of the bedrooms had a comfortable king-sized bed, which meant that no one had to “sacrifice” and sleep on a smaller bed or air mattress. Four out of the five bedrooms have their own bathroom as well, which we appreciated! The home is nicely decorated and everything we needed was provided. Upstairs, there is a massive game room with high ceilings where we played pool, darts and cards, and it even has its own kitchenette. There is cable TV and free wi-fi as well. The backyard is very large and wooded and we enjoyed hanging out on the deck in the evenings. We took Uber rides into downtown, which took about 15-20 minutes and ran around $30 per ride (we went at peak times, so it might be faster and cheaper to go earlier in the day). All in all, we had a wonderful stay here. I would definitely stay again!